This book explores this inherent contradiction present in most facets of Singaporean media, cultural and political discourses, and identifies the key regulatory strategies and technologies that the ruling People Action Party (PAP) employs to regulate Singapore media and culture, and thus govern the thoughts and conduct of Singaporeans. It establishes the conceptual links between government and the practice of cultural policy, arguing that contemporary cultural policy in Singapore has been designed to shape citizens into accepting and participating in the rationales of government. 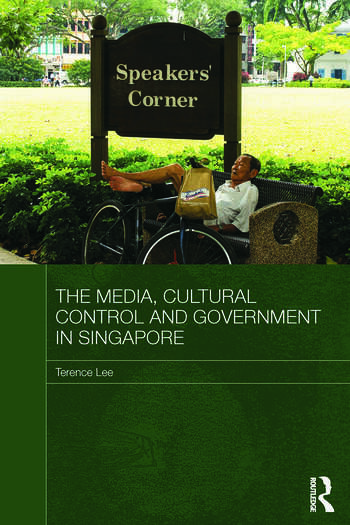 Outlining the historical development of cultural policy, including the recent expansion of cultural regulatory and administrative practices into the ‘creative industries’, Terence Lee analyzes the attempts by the Singaporean authorities to engage with civil society, the ways in which the media is used to market the PAP’s policies and leadership and the implications of the internet for the practice of governmental control. Overall, The Media, Cultural Control and Government in Singapore offers an original approach towards the rethinking of the relationship between media, culture and politics in Singapore, demonstrating that the many contradictory discourses around Singapore only make sense once the politics and government of the media and culture are understood. Terence Lee is Chair of Communication and Media Studies in the School of Media Communication and Culture, and Research Fellow of the Asia Research Centre at Murdoch University, Australia. He is the joint editor of Political Regimes and the Media in Asia (Routledge, 2008), and publishes widely on various aspects of media, politics, and culture in Singapore.